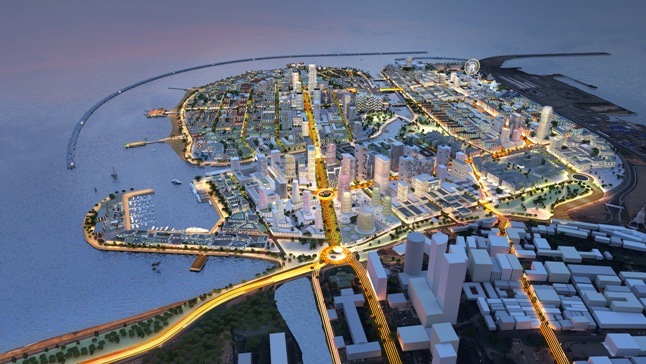 A number of arguments have been put forward very recently to try and justify the construction of the Colombo Port City. Some argue that the Colombo Port City was a ‘business venture’ done with the view to make Sri Lanka the most competitive and preferred maritime and logistic hub in Asia. Hence, the construction of the Port City should be continued on a revised technical plan of the experts. Since 25% of the work Colombo Port City project is completed, others argue that by halting the project the country will suffer a heavy financial loss in addition to threatening livelihoods of local people in the Country, of the employees and service providers who have already made agreement with the Chinese company. There are also those who argue that this project shall create thousands of job opportunities and if halted the country will be deprived of all those benefits. In the face of all this arguments, what seems certain is the underline ideology of those who argue in favor of the Colombo Port City which is a neo-liberal economics. 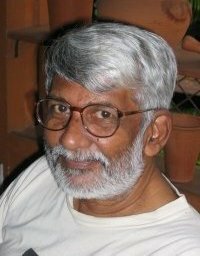 Unfortunately, these economists are keen on denying and dismissing the warnings from scientist and environmentalists that the Colombo Port City – the country’s largest private investment in history – has the potential of becoming one of Sri Lanka’s biggest environmental nightmares: altering entire ecosystems and causing other serious environmental problems — and, by extension, endangering the millions who inhabit this country. We simply cannot sacrifice the environment in exchange for temporary economic gain. This raises questions as to ponder, when viewed from stand point of an ordinary citizen of the country, how valid, informed and credible are the arguments of those who favor the Colombo Port City? The environmental impacts associated with large scale artificial economic project often brings with it many social and environmental concerns. The Colombo Port City is no different. The creation of the artificial city on a reclaimed maritime land affects species in the sea area, some endangered, water quality, and may increase the likelihood of earthquakes. The environmental impacts of the project are profound, and are likely to get worse as time goes on. However, advocates who support the Colombo Port City for pity economic gains fail to understand the human and environmental cost that the project would entail, even when a revised plan is implemented. The economists who are often interested only in profits tend to be blind to such dimensions of social life. Such costs can be perceived only by those who looked at it from the people’s point of view. For an example the project requires mass amounts of granite and sand. According to Port Authority “the estimated granite requirement for the project is 05 million cubic meters”. It was reported at a discussion held at the Human Rights’ Commission that the authorities have identified 20 quarries to supply the required amount. In many places these quarries are already creating environmental hazards for people such as drying up of underground water resources, which is an indispensable requirement for survival of all life. In certain place water streams have already gone dry. Besides, the blasting of rocks is causing cracks in the houses and also health hazards both to people and animals. Often these quarries are found in the interior of the country in the districts of Colombo and Kalutara; these are areas of rich biodiversity but the unique plant and animal species are quickly disappearing due to the destruction caused by the quarries. The situation will be definitely worsened when the demand for granite for building the port city increases. Similarly a Colombo Port City Project will have a damaging impact on the coastal belt due to dredging of sand from the sea. Already excavation of large amount of sand from the sea off Negombo has caused numerous problems to traditional fishermen who depend on the shallow seas for their livelihood. The fishermen complain that the fish breeding grounds have been disturbed and have expressed fear that continuous digging for sand will intensify sea erosion and destabilize the coastal area. Recently there was a complain that fishermen incurred a loss fishing gear to the value of Rs 4 million due to the damages caused by the sand mining machinery. The fishermen who use traditional methods for fishing also live in fear that once certain portion of land is given over to the Chinese government, the Chinese fishermen will one day become a serious threat to the livelihoods of the traditional fishermen. Though the environmental impact of the project is already felt, there are many more concerns such as of altering entire ecosystems and causing other serious environmental and social problems—and, by extension, endangering the millions who live in this country. However, these aspects have not been taken seriously into account by the economists. But the threats to life are real. The Colombo Port City is a model for disaster. There are no signs that all these destructions stated above would cease when Colombo Port City is done according to a revised plan. It is so unfortunate that many of our experts seem to be more concerned about the profits rather than the wellbeing of the citizens. I wonder whether the advocates of development and advancements focus mainly on the economic benefits overlooking the environmental destruction and violation of rights when constructing and approving such artificial economic projects. Thus, from right perspective this project violates the rights of the people to a safe environment and to livelihoods. A project which is not primarily people friendly or environment friendly cannot be called a development, however much it promotes growth and bring profits to the elite. It is time that the advocates of modern development be inspired by the ancient wisdom of the Red Indians. only then will you discover you cannot eat money”. Development As Development Of The Heart: Why Are We So Poor? 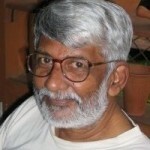 Will Sri Lanka Get Green Climate Funding?